“The Nobel Peace Prize blew the wind into our sails. We recuperated a new impetus and power”. The World Summit of Nobel Peace Laureates to be held in Warsaw later in October coincides with the 30th anniversary of Lech Wałęsa receiving the honour. ‘The importance of this Nobel Peace Prize cannot be overestimated. I cannot imagine the final victory without it’, Poland’s former President and the historic Solidarity leader Lech Wałęsa told the PAP journalists.  On 21-23 October Warsaw is to host the World Summit of Nobel Peace Laureates. What are your expectations of the Summit? Lech Wałęsa: Whenever we meet at the annual Summit of Nobel Peace Laureates we mainly talk about the current issues, the chances facing the world, but first of all about the threats. Each of us has an address and we present our respective views. We sometimes formulate resolutions or letters to governments; on other occasions we simply send out media statements. It also happens that we write declarations separately, as others do not approve of their content. I guess the situation will be similar this time, too. It still remains to be seen what topics we’ll tackle this year, whether we’ll talk about Syria, for instance. I myself will raise the issues I’ve been tackling for over 20 years, namely that the world’s badly organized. Today, when we have only one superpower left, the question is whether it should serve as the global policeman. It seems to have been failing to carry out its responsibilities. I’ll then urge for us to contribute to reorganizing the today’s world programmatically and structurally. We can’t allow for the situation in which China or Russia vetoes on the matters crucial for everyone else. In the old system, this may have been logical, meanwhile today it’s impractical and bad. I’ve already suggested that we should identify dangers, such as anti-Semitism, racism, ethnic cleansing, chemical dangers, weapons of mass destruction, and work out such an agenda that no one would dare resort to any of these – had they listened to me, we wouldn’t be having Syria’s problem today. What we need, is a global consensus, going beyond each nation, on the fundamental issues. Does the world want to listen to the Nobel Peace Laureates? L.W. : It still continues to do so, but on the other hand, the world listens to what actually suits it. And in this case it’ll be just the same. Though, I do think that Nobel Laureates are listened to in the world. Quite simply because we don’t demand anything, but just point to, urge, and suggest things. Nothing more – in that sense we are pretty convenient. Does the Nobel Peace Prize continue as prestigious as before? The recent decisions of the Nobel Committee to award the Prize to the US President Barack Obama and the EU have actually been quite controversial. L.W. : The Nobel Prize that I received, under the then circumstances, was a kind of a token of appreciation for the way we had covered and an encouragement to continue with the non-violent struggle. Afterwards, things got a bit distorted. Sometimes I find it difficult to understand why the Prize is given here or there. I, however, don’t wish to question the authority of the Prize: it’s still needed and will continue to be needed. How do you recall the day when 30 years ago you received the Nobel Peace Prize? What impact did the Prize have on Solidarity? L.W. : It’s likely that I was to have received the Nobel Prize a year earlier, in 1982, yet the Communist authorities made it difficult; they had made a secret police spy out of me, they had provided fabricated material against me. I had no doubt that we deserved the Noble Peace Prize for the beautiful and wonderful fight. At that point, however, Solidarity had lost its impetus, the Solidarity boat was coming to a standstill. Host of people had been sent abroad, many had given in. The Nobel Peace Prize blew the wind into our sails. We recuperated a new impetus and power. With the Prize we could feel that there were people who remembered us, that it was all worthwhile. The importance of this Nobel Peace Prize cannot be overestimated. I cannot imagine the final victory without it. It provided great support to us at the appropriate moment, it possibly meant even more than if awarded a year later, as when we got it, we needed it more badly. What about historic and living individuals whom you consider ideologically close to your views? L.W. : I don’t search for such, I don’t want to. I simply have my ideas and I suggest you either implement or improve them. For years on end, for example, I’ve been proposing to improve economy. What’s the economic system to be introduced? Certainly not Communism, yet neither the kind of capitalism we have in place today. Sooner or later, the latter has to be reformed. What I find consoling is the fact that no one of those recently protesting at different places questions private ownership and free market, namely the pillars of capitalism. While everything else is truly a subject to improvement. Another topic is democracy. As long as we had interests and borders, we were scared of our neighbours and then democracy was different. Meanwhile, today’s democracy needs to add to the presented rights also responsibilities at various levels, or otherwise no one will take it seriously. And the third element in which we seek solutions, are the foundations to which we want to anchor this new era. It can be done either in the leftist way, that’s basing ourselves on freedoms. An alternative option is reaching a consensus on values acceptable to different religions and non-religious individuals, a kind of 10 lay commandments. If all the countries implemented them, we’d stand a chance of raising an individual of conscience. Europe and the world would then have a chance for a better future. I’ve been saying this for over 30 years. What about democracy 50 years from now? L.W. : Each politician will carry a personal chip with high-capacity memory. It’ll record every single step he or she takes, even who they sleep with. After all, it’s not our task to be following politicians and spy on what they’re doing. ‘If you want to be a politician, carry the chip, then we’ll know all about you’. When the election comes, all we’ll have to do is to check the records of a given politician online. Also, democracy should be based on equal-sided triangles. The first side and its base at the same time should be made up of trade unions and NGOs; the second side of business owners; the third one of administration, depending on the level, up to the central one. During meetings in such triangles, all the participants will have to do is simply choose one computer brand which applying the respective data all of them provide will respond to their queries and will propose the final solution and a consensus. This’ll be done without emotions, strikes, without the stronger cheating on the weaker, without demagoguery and populism. Everything will be carefully calculated and verifiable even 100 years from now. This can already be done, all that it takes is appropriate software.